If you’re thinking about investing in a Signature Sleep Mattress, you might be surprised that it’s one of the best mattress options on the market today. In addition to being affordable, it’s also easy to unload in your home and very comfortable. However, it’s important to understand the details of this mattress in order to determine if it’s really the ideal choice for you. To help with this, simply keep reading the Signature Sleep mattress review below. It will give you the information you need to determine if this is the perfect mattress to sleep on at night. 02. Is There a Warranty? 04. What Materials are Used? 06. What are the Reviews? 07. What is the Design Like? 08. What Types of Mattresses are Available? 09. How Will it Arrive? 10. How is the Edge Support? 11. Is Signature Sleep Affordable? 12. Where Can You Buy? 14. How is the Motion Isolation? 15. Is the Customer Service Good? 16. What are the Pros and Cons? 17. What Mattresses are Available? 18. Should You Buy a Signature Sleep Mattress? This company began not out of chance but because of years of hard work in development of the perfect mattress. By prioritizing the highest quality product, this brand has set itself apart from all others and made something that’s truly unique. However, since a budget-friendly product has always been important, it has been priced affordably. This company has also made it a priority to make a mattress that’s eco-friendly, so they use the best manufacturing processes that prevent VOC’s from going into the atmosphere during production. Although this is a small change, it’s one that minimizes the carbon footprint of the company significantly. Signature Sleep mattresses come with a warranty that protects the buyer from manufacturing defects down the road. Unlike other mattresses, the warranty for this product works a little bit differently. There is a charge for the new mattress, which is based on the perfect of the original retail price relative to the number of years you’ve owned it. There’s also a $75 shipping fee for sending it back, which is a flat cost. You can visit the website for Signature Sleep to get a better idea of how much of a fee you’d have to pay total to claim your warranty coverage. In order to return this mattress, you’d have to contact the manufacturer to inquire about warranty coverage. There is no sleep trial listed on their website, so it’s unlikely you’d receive a full refund after the typical 90 or 120 day time limit. If you order from Amazon, ask them what the return policy is before making your purchase. In most situations, they will work with you to find a reasonable solution. If you plan on buying mattress that’s made with memory foam, then you can expect the highest quality memory foam from this brand. Most of the options available are medium-firm, although there is a firm option available if you prefer to sleep on something a bit harder. No matter which option you choose, memory foam is still used in order to provide adequate support on different parts of your body.Before buying a new mattress you should know This 15 tips . Most buyers say that Signature Sleep mattresses are quite comfortable. This is largely due to the fact that they are made with high-quality memory foam, which keeps it shape and contours to the body quite nicely. Each mattress is designed with varying levels of base foam, which provides a strong and supportive base for the memory foam that will lie at the top. 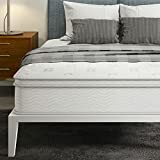 The surface memory foam is by far the most important part of the design and the reason most people say this bed is so comfortable. The reviews for Signature Sleep mattresses are overwhelmingly positive! Most buyers say that they would recommend this bed to others and the large majority say that it’s quite comfortable throughout the night as well. Most buyers also use this every day and say that they wake up feeling better with minimal aches and pains. If you’re interested in learning more about what people have to say about these mattresses, you can learn a lot by checking out the products on Amazon. You’ll be able to see the benefits, the drawbacks, and the best features that buyers love. With this information, you will know a little bit more about what to expect when this mattress is in your own home. 07.What is the Design Like? In addition to a base of high-density support foam and a top layer of memory foam, this mattress is also made with a soft knit fabric. Being breathable, this won’t build up body heat and wicks away moisture quite well. However, you cannot remove this cover, so it’s recommended to place an additional cover over the bed for added protection. If you choose one of the Signature Sleep mattress options that are made with coils, you can expect more support that eliminates quite a bit of motion transfer so you can rest well without being bothered by another sleeper. Unlike other brands, this one uses high-density coils that are situated close together to prevent noise and extend the life of the mattress overall. 08.What Types of Mattresses are Available? This bed begins with anywhere from 4.5″ to 8″ of high-density support foam followed by an added layer of memory foam. On this is a fire retardant barrier which is underneath a soft and breathable knit fabric cover.Click here to see the mattress. Like the majority of other mattresses today, Signature Sleep comes in a roll. Before it’s shipped out to you, it’s compressed down and placed in a vacuum sealed container so it can’t get dirty and won’t be at risk of picking up anything along the way. After being placed in a shipping box, the mattress is sent to your door so you can easily place it where it needs to go. To place on your bed, simply take out of the box, cut open the plastic, and allow the bed to fluff up. The compressed size makes it easy to place the bed where it needs to go without struggle or difficulty. 10.How is the Edge Support? One of the best features of this mattress is the edge support. Many buyers have stated that they feel just as supported when they’re on the edge of the bed as they are in the middle and on the sides. If this is important to you, then this is a great bed to consider and well worth the low price. Yes! This brand is responsible for making some of the most affordable mattresses on the market today. Whether you’re on a budget or you just don’t want to spend an excess amount of money on a bed, this is a great choice. What’s even better is that you won’t have to pay for installation, because it’s something that you can easily do yourself. You can find mattresses from this brand online at Amazon to make ordering both quick and easy. What’s even better about buying from Amazon is the fact that you can read customer reviews for each of the different models to find out what the best features of the bed are. If you already have an account with Signature Sleep, then you can easily click and order within just a few seconds. No! Although spring mattresses tend to be loud simply because of how they are made, this is not the case for Signature Sleep mattresses. These tend to be extremely quiet so you don’t hear creaks and squeaks every time you get up or get out of bed. The quiet sound is something you’ll appreciate every time you lie down! 14.How is the Motion Isolation? According to buyers who have given Signature Sleep mattress reviews, motion isolation is excellent for the memory foam models of this bed. This tends to be the case for most memory foam mattress products, making it a great investment if you wake easily. However, when it comes to the spring beds, motion can be felt a little bit more. 15.Is the Customer Service Good? According to online reviews, this brand has good customer service for any questions and concerns you might have. Their phone number is readily available on their website or you can e-mail if you prefer. This aspect of your purchase means you can always speak to someone when you need help regarding your mattress. Where are They Made? These beds are made in China, with no parts that are designed or manufactured in the United States. For most buyers, this isn’t a problem. However, if you prefer American-made products, this may be something to think about. The quality is quite good, however, so you shouldn’t have to worry about not enjoying the bed once you have it in your home. 16.What are the Pros and Cons? The pros and cons of this mattress are well worth taking a look at if you are going to invest in this product. Fortunately, there are many more benefits than there are drawbacks. To understand a little bit more about these, take a look at the information below. There aren’t many other high-quality mattresses that are available at this price point. Even the largest beds are quite affordable, which is perfect for anyone who is on a budget. The motion isolation on the memory foam mattresses is excellent. This brand has proved to be decently durable which means you shouldn’t need to replace sooner than expected. Since this mattress comes compressed and wrapped in heavy-duty plastic, it’s much easier to move than a mattress that is already expanded. You can place it in the room you want to use it in before unwrapping for the easiest move possible. The motion isolation in the spring mattresses isn’t the best, although it still performs better than many other brands. The warranty only lasts for one year, which is significantly less than most other mattress warranties. If you want peace of mind for longer, then this may not be the right option for you. There’s no sleep trial for these mattresses, unlike with other brands. This means you will have to keep yours, unless you are covered under warranty. – Justice 14″: A combination of high-density foam, pocketed coils, and gel memory foam. – Triumph: Reversible innerspring bed with high-density polyfoam, pocketed coils, and polyester cover. 18.Should You Buy a Signature Sleep Mattress? With so many good Signature Sleep mattress reviews, it seems you can’t go wrong with purchasing one of these beds. While they do have shorter warranty time limits than others, they are still made well and with high-quality materials that last. In addition to this, they ship quickly and have great customer service standing behind them as well. The bottom line is, if you’re looking for something that is budget-friendly and comfortable, this is going to be a safe bet. Although the limited warranty might be a concern, chances are you won’t need it, so it shouldn’t be a problem.